Big thank you to Prometheus Books for our copies in return for our honest reviews. Nashville 1964. Eighteen-year-old babysitter Paula Herring is murdered in her home while her six-year-old brother apparently sleeps through the grisly event. A few months later a judge's son is convicted of the crime. Decades after the slaying, the author stumbles upon a secret file related to the case and with the help of some of the world's top forensic experts--including forensic psychologist Richard Walter (aka -the living Sherlock Holmes-)--he uncovers the truth. What really happened is completely different from what the public was led to believe. In this true-crime page-turner, the author lays out compelling evidence that a circle of powerful citizens were key participants in the crime and the subsequent cover-up. The ne'er-do-well judge's son, who was falsely accused and sent to prison, proved to be the perfect setup man. The perpetrators used his checkered history to conceal the real facts for over half a century. Now, for the first time, the author reveals the true story. 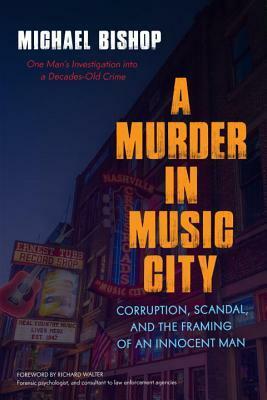 Including interviews with the original defense attorney and a murder confession elicited from a nursing-home resident, the information presented here will change Nashville history forever. True crime is almost the only nonfiction I'll read (almost). Give me a story about a murder that involves a cover up and an innocent man that goes to jail for the crime and I'm sold! Probably my biggest gripe with any nonfiction that I read are all the dang footnotes. While this one at least didn't have them at the bottom of the page, the footnotes were prominent throughout the book and the little number notifications peppered throughout made me feel I was reading a textbook at times. Luckily all the notes were kept at the back of the book. Bishop, who became fascinated with this case after finding a file on the murder of Paula Herring, is quite the amateur sleuth. The book reads like a documentary, which I suppose is basically what it is. Mostly it seemed like facts being thrown out at you.. but what is truly fascinating are the interviews. These bring the story to life and the second half of the book really is where I got sucked into the story. Since this is told strictly through Bishop's own journey into researching this case, it can, at times, read a little flat in terms of reaching certain points into the investigation - the plot could get lost at times. He does, however, bring in a ton of historical facts to tie into all the holes he found within this case and his theory of corruption is completely plausible. 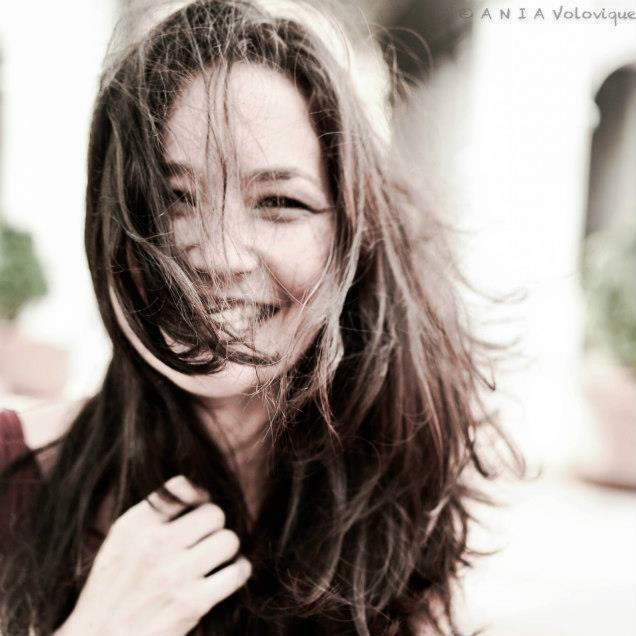 What I loved best? The epilogue of "Where Are They Now" for the characters introduced in this book and the Index that provided pictures so you could visualize what you just read. A fantastic true crime read. What's better than a great murder mystery? A great TRUE murder mystery, of course! True crime will always be a genre that I'll love. Not only do you learn about someone's history, but you also get to see the actual investigation and the forensics behind solving a case. 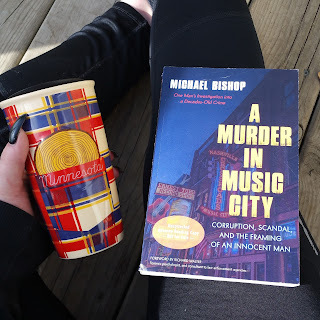 So when I saw A MURDER IN MUSIC CITY by Michael Bishop I had to read it! A murder that was presumed to be solved is now being reopened because a secret file is found? I need to know more! The setting is Nashville in 1964, the 18 year old babysitter, Paula Herring is brutally murdered in her home while her 6 year old brother sleeps through it. Months later, the son of a judge is convicted and sentenced for her murder. Fast forward a few decades, Michael Bishop (the author) comes across a secret file with information pertaining to the murder case that points in a completely different direction that what the public was told. With the help of world renowned forensic pschologist, Richard Walter (known as the living Sherlock Holmes), they search for the truth. This true crime story includes interviews with the original defense attorney as well as a murder confession from someone else. The information that the author presents shows a massive cover up and conspiracy within the case and it's a very intriguing story to read. The research shows and I loved learning some of the history as well - this helped fill in some gaps! The epilogue of "Where Are They Now" was fascinating and seeing the photos of the characters was great. It gave the characters and the story life. Overall, if you love true crime and don't mind a straightforward approach to the information (footnotes included in the back of the book, historical information, and reads more like a research document than novel) then you'll love this! I give this a solid 5/5 stars! !